HISTORY - Legends Sports Pub. Founded in 1993, Legends Sport Pub is the oldest sports pub in busy Waikiki and to my knowledge, the oldest sports pub in Hawaii. John Harrison, owner and founder, has created a local-style pub with worldwide appeal. John has years of experience in the food & beverage industry. He opened Legends at 411 Nahua Street on the ground floor of the Aqua Waikiki Pearl Hotel. Legends has eleven television screens and every seat has a perfect view of the action: NFL, NBA, MLB, and NCAA College Athletic as well as international events such as Soccer and Rugby, and more! This is a place for sports action or just plain fun. You are sure to meet new friends too! 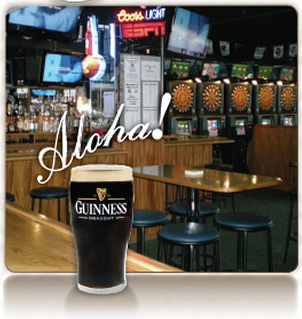 I guarantee you will have a good time at Legends Sports Pub, a must-visit in Waikiki, Oahu, Hawaii. See you there!